4. If one or both slots are ready then u have problem with WTR3925 RF chip else some problems with slots. 10. Turn on phone and check mobile network. If it's not work heat up it again. 11. If second time with heating up not successful then u need to change this chip. My Sim 1 is ready (i got only one sim). I didnt understand the step 4. What should i do? if u make sure that problem with chip, then follow steps after 4. I also have the same problem. Can you tell me from where to find this chip? Your guide is really good. The chip is very hot, should I heat up it for more hot? Nope, just a little. ~100 degrees, if u heat too much chip can broke. (~5-10 sec heating ) Is it help u? Thank you. I mean that it is hot even I haven't done anything yet, it's already hot when I open the back cover. There is another fix for this problem on the forum (but is still equaly not fully confirmed). I found it to risky to do myself and brought the phone to a repair service to do it for me, sadly I know they just did a factory reset and decided that it isn't worth their time. Definetly will try with another repair service at least one of theese two potential fixes, but in about a few weeks (am very busy at the moment). Hope something fixes this issue after so much time. I'm too trying this method, but it's not working. Problem in chip, not in signal. I'm having this issue too. Last night I left the phone charging as always and when I woke up in the morning it was super hot so I restarted it. After that it didn't get signal anymore. The sim is recognized but the radio is off. I restored ZUI a couple of times with QFIL but it didn't help. I've also noticed that the battery drains in 6 hours or so even if the phone is turned off. Is this related to the signal issue? Are you having this problem too? My network broke down against today. I tried heat up the back cover where located chip and network back to me. Any details how you've done that? Is the network still there? In the evening I left my phone to charge. In the morning the phone was hot, there was no mobile network and began to drain the battery. 1: 070A - First replace the charging chip. 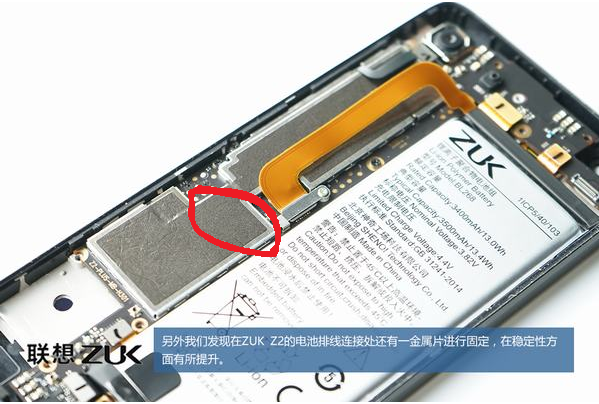 2: WTR3925 - If the mobile network still does not work, change this chip.